Which Is Best For You? Chances are you’re familiar with the popular cannabis extract, cannabidiol (CBD). But it’s not the only natural pain relief option that has been making headlines lately. Kratom (Mitragyna speciosa), a species of tree from Southeast Asia, became so popular over the last few years that it caught the attention of the federal government. It’s still legal in most U.S. states (at least for now), and many people have been using kratom to relieve the symptoms of medical conditions such as fibromyalgia, arthritis, anxiety, and opioid withdrawal. If this sounds familiar, it’s likely because CBD has been praised – and targeted – for similar reasons. 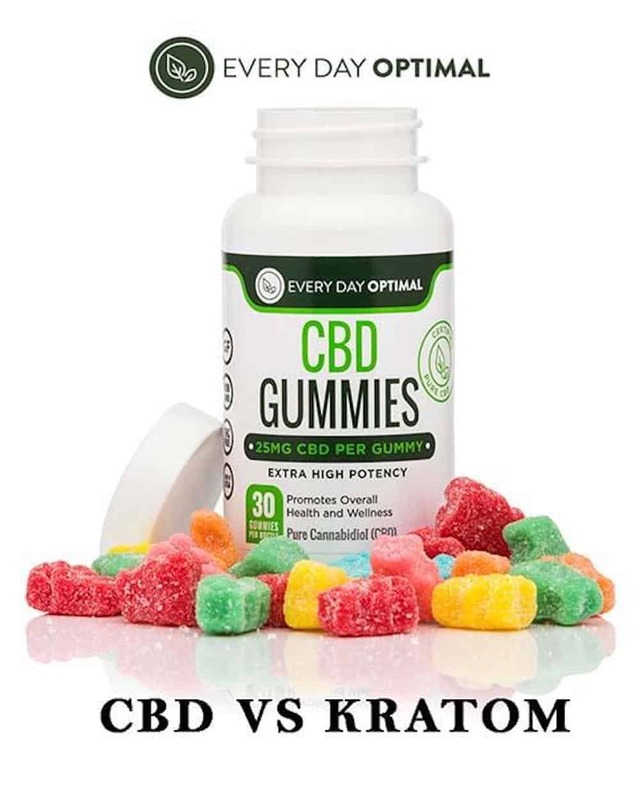 So, which one is better: CBD or kratom? 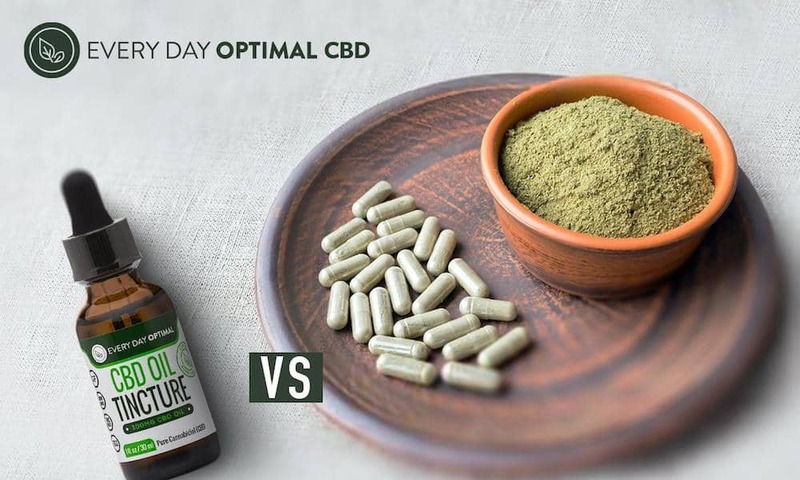 In this article, we’ll compare and contrast Every Day Optimal CBD and kratom to help you decide which one is right for you. Kratom is a tropical tree found in Southeast Asia. The leaves of the Kratom tree have a long history of use in Thai botanical medicine. Though the plant contains more than 40 different compounds, there are two alkaloids in particular that have been the topic of recent scrutiny: mitragynine (MG) and 7‐hydroxymitragynine (7‐HMG). Similar to how CBD and THC interact, MG appears to be therapeutic, while 7-HMG has psychoactive properties. And while MG is the more dominant compound in kratom, 7-HMG acts on the same brain receptors as opioids, which has put the legality of kratom at risk. Kratom can be ingested raw, but it’s typically dried, ground, and sold as capsules. Alternatively, kratom leaves can also be boiled down to an extract, which has a longer shelf life than dried kratom. 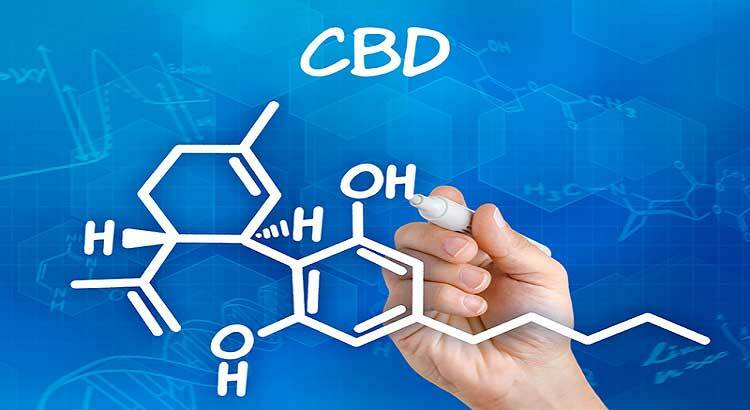 CBD is a compound found in the cannabis plant, in both hemp and marijuana, although most CBD on the market is made from hemp for legal reasons. It’s extracted in oil form, which is then processed and sold in various types of products, including tinctures, capsules, and CBD-infused edibles. There are several different extraction methods, ranging from CO2 extraction to using solvents like ethanol or butane. Since it’s made from the whole plant, CBD oil can contain various other cannabinoids and terpenes that were extracted along with it. These are called full-spectrum CBD products. While CBD can be quite effective on its own, many people find it more effective when taken with other cannabinoids, including THC. Full spectrum CBD oil products are allowed to contain up to 0.3% THC by law. You can also purchase CBD oil products that contain pure CBD and no other cannabinoids or terpenes, known as CBD isolate. Many people prefer isolate products because concerns over using and testing positive for THC that may come along with full spectrum products. Both full spectrum and isolate CBD can be found in a wide range of products such as tinctures, gummies, vape liquids, and capsules. CBD vs. Kratom for Pain Relief: Which Is Better? One of the things CBD is most famous for is its ability to reduce various types of pain. Studies have established that CBD is an effective anti-inflammatory, and that it can reduce arthritis-related inflammation, swelling, and pain, while preventing nerve damage and degeneration. Researchers have also found that CBD can relieve neuropathic pain from multiple sclerosis. It’s possible that CBD may be able to relieve pain from headaches and migraines as well, though more research is needed. When it comes to kratom, there’s less scientific evidence of its benefits, though that doesn’t mean it’s ineffective. Research tends to follow public interest, so we can expect to see an increase in kratom-related studies in the near future. In fact, the University of Florida recently received $3.5 million dollars in funding for kratom research from the National Institute on Drug Abuse. Despite the lack of research, what we know so far is promising. A 2017 review of available medical studies concluded that kratom can effectively reduce pain, induce relaxation, and improve the immune system. And according to a large online survey conducted by Pain News Network and the American Kratom Association, over 90% of respondents reported that kratom was “very effective” at relieving pain and other medical issues. What Are the Other Benefits of CBD and Kratom? CBD interacts with endocannabinoid receptors throughout the body, resulting in a wide range of benefits that have been confirmed by numerous studies. And while research is still in its early stages, CBD’s effectiveness at reducing seizures led to the recent FDA approval of the first CBD pharmaceutical drug – Epidiolex – to treat a rare form of epilepsy. There is also evidence that CBD has anti-anxiety properties, and that it can improve conditions such as post-traumatic stress disorder and sleep problems. One of kratom’s biggest benefits, aside from pain relief, is its potential in treatment for opioid addiction. A recent study in Psychopharmacology found that kratom’s primary compound, mitragynine, can reduce opioid abuse, and it appears that kratom has potential as an antidepressant. That said, the FDA warns that there is no approved medical use for kratom, and research has yet to establish that kratom is safe for human use. While mitragynine may be able to treat opioid addiction, the other primary compound in kratom, 7‐HMG, acts on opioid receptors in the brain – meaning that it has addictive potential, hence the FDA’s negative attention. A 2014 survey of 293 people confirmed this, finding that nearly all of the participants showed signs of addiction after using kratom regularly for over 6 months. Both physical and psychological withdrawal symptoms were noted, including pain, sleeping difficulty, and anger. Along with its addictive potential, kratom can also cause side effects such as nausea, dry mouth, itching, and loss of appetite. It’s been accused of causing more serious side effects as well, such as seizures, aggression, psychosis, liver damage, arrhythmia, and memory problems – however, documentation of such issues is rare. According to one study, it’s possible to overdose on kratom, but at an extremely high dose. It’s also important to note that, according to the FDA, kratom has been implicated in 44 deaths. Many advocates believe this is fear-mongering, as kratom was used alongside other drugs in nearly all of these cases. However, it still suggests the possibility that kratom could be dangerous, especially if taken in combination with any other substance – including over-the-counter and prescription medications. Kratom’s reputation took another hit in early 2018, after a salmonella outbreak linked to kratom products sickened 199 people across 41 states. As a result, the FDA tested various brands’ kratom products and found salmonella in a large percentage of them, leading to numerous recalls. On the other hand, CBD appears to be very safe, with limited and mild side effects reported, including drowsiness, dry mouth, and nausea. The World Health Organization (WHO) released a report in 2017 concluding that CBD is not only safe, but non-addictive. Like with kratom, though, the lack of oversight can lead to potential issues such as contamination, “fake” CBD oil, and CBD products that contain dangerous chemicals. These issues highlight the importance of only buying kratom or CBD products from trusted retailers who follow safe manufacturing processes. High-quality vendors are clear and specific about what their products contain and how they’re made, and like Every Day Optimal CBD, they share 3rd party lab tests online to prove the quality, safety, and potency of their products. Additionally, CBD can affect how your body metabolizes other medications, which is one reason why it’s essential to talk with your doctor before taking any new supplements, including kratom or CBD. Are Kratom and CBD Legal? In 2016, the DEA made its first attempt to ban kratom, but due to public outcry, the drug remained legal in most states. After further investigation, the FDA recommended in 2017 that kratom should be labelled a schedule I drug due to the drug’s opioid-like properties – putting it in the same legal category as drugs like heroin and LSD. The jury’s still out on kratom’s legality in the U.S., but it’s already a controlled substance in several countries, including New Zealand, Germany, and Poland, and completely illegal in others, such as Thailand, Australia, and Myanmar. Since CBD is made from cannabis, its legality has been questioned heavily. While hemp is classified differently than marijuana, the phrasing of federal laws on cannabis often leaves room for interpretation. Ultimately, hemp-derived CBD products are legal, though this can vary by state. In some states, like Ohio, CBD is only available in dispensaries. So, Which One is Better: Kratom or CBD? Overall, CBD is a clear winner. While some people may prefer the benefits of kratom, CBD is proven to be safe and non-addictive, with few side effects and strong scientific support of numerous health benefits. Brands like Every Day Optimal that manufacturer pure, clean, non-GMO CBD products are the better bet over kratom. That said, awareness and research on kratom is in its earliest stages, so it’s possible that more evidence of kratom’s benefits is on the horizon. But with so many similarities to opiates, it’s also possible that kratom will be banned before it can make any significant strides. Where Can You Buy CBD and Kratom? Both kratom and CBD-infused products can be purchased from head shops and online vendors, and CBD oils are available in dispensaries as well. It’s important when purchasing either kratom or CBD products to only buy from trusted retailers, so look for manufacturing information, lab reports, and product reviews before purchasing. Every Day Optimal is one example of a high-quality and trustworthy CBD vendor. Why Choose Every Day Optimal? At Every Day Optimal, we take pride in the quality of our products, and we publish 3rd party lab results to prove it. Our CBD is extracted from only the highest-quality industrial hemp, using the cleanest CO2 extraction methods to create pure, authentic, and potent CBD products. We ensure that all of our products are free of pesticides, herbicides, artificial colors and flavors, and other harmful substances. With our wide range of THC-free CBD products, we offer dosages and options to suit every lifestyle. Get 15% Off Your First Purchase At Every Day Optimal! Use Coupon Code HighTimesCBD15 At Checkout! Shop Now! 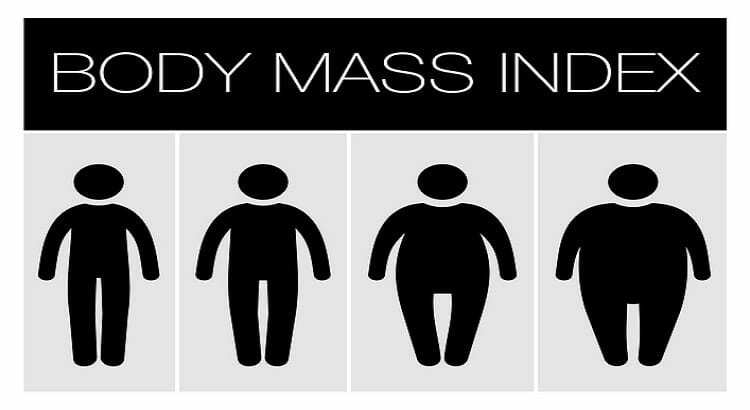 Lifetime cannabis exposure is associated with lower body mass index (BMI), according to longitudinal data published in the journal Psychosomatic Medicine. Researchers from Arizona State University and the University of Pittsburgh assessed the association between long-term cannabis exposure and cardiometabolic risk factors in a cohort of 253 men. They reported that greater marijuana exposure was associated with lower BMI as well as lower cholesterol levels and other risk factors. “Cannabis use is associated with lower BMI and lower BMI is related to lower levels of risk on other cardiometabolic risk factors,” they concluded. 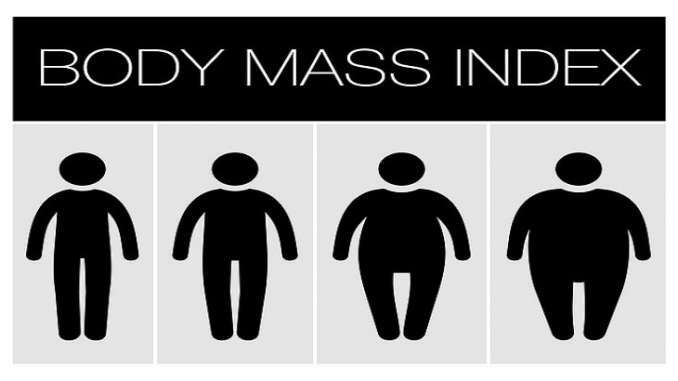 The findings are consistent with those of prior studies concluding that cannabis exposure is associated with lower BMI, lower rates of obesity, and fewer incidences of type 2 diabetes. Federally funded research into marijuana seems to be escalating, with one government agency recently posting a roundup of current “cannabinoid-related funding opportunities” for studies investigating the plant’s therapeutic potential. The National Center for Complementary and Integrative Health (NCCIH) on Dec. 8, 2018, shared a list of four research grant opportunities for studies on “natural products” such as cannabis. One would examine how cannabinoids other than THC affect pain and three others call for more broad clinical trials of natural products involving human participants. NCCIH “supports rigorous scientific investigation of natural products such as the cannabis plant and its components (e.g., cannabinoids and terpenes),” the agency wrote. The goals of the proposed research projects range from identifying the “biological signature” of natural products, which means discovering a replicable biological effect, to determining the best dose and optimal formulation of these products. Researchers interested in taking on the investigations have to submit applications with comprehensive plans for the trials and also obtain clearance from federal agencies charged with regulating controlled substances such as the Drug Enforcement Administration (DEA). Interestingly, three out of four of the studies highlighted by NCCIH don’t explicitly mention marijuana or cannabinoids; rather, they more broadly cover natural products, which seems to suggest that the agency aims to increase cannabis research through pre-existing funding channels. While the federal government has historically funded limited studies into marijuana and its components, researchers have struggled to overcome barriers to research that exist for federally banned substances. As more states have legalized cannabis, though, agencies like the NCCIH have started ramping up their calls for research. At the same time, the DEA has said that it’s streamlining applications for federally sanctioned marijuana cultivators in order to meet the growing demand for research-grade cannabis products. It authorized 5,400 pounds of cannabis to be grown in 2019 — more than five times the amount authorized for 2018. The reason for the scaling up is “based solely on increased usage projections for federally approved research projects,” the agency clarified in a Federal Register notice Dec. 10, 2018. This article has been republished from Marijuana Moment under a content syndication agreement. Read the original article here. WASHINGTON, DC — The Senate on Tuesday and the House on Wednesday gave final approval to the massive 2018 Farm Bill, including a provision that will end an eight-decade ban on industrial hemp, that non-psychoactive but extremely useful member of the cannabis family. President Trump is expected to sign the bill into law. Even though you could smoke a hemp joint the size of a telephone pole and get nothing more than a cough and a headache, for decades the DEA has refused to recognize any distinction between hemp and marijuana that gets you high. 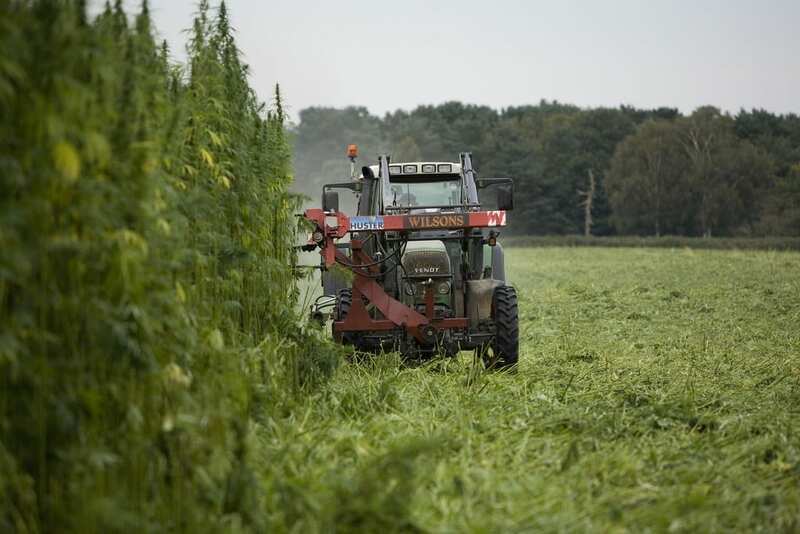 That meant that American farmers could not legally produce hemp for a hemp products industry worth $820 million last year and expected to break the billion-dollar mark this year. That’s right: Thanks to a federal court case brought against the DEA more than a decade ago, farmers in countries where hemp is legal can export it to the US, and companies in the U.S. can turn that hemp into a variety of products ranging from foods to clothing to auto body parts to building materials and beyond, but US farmers can’t grow it. That’s about to change. Wyden and fellow Oregonian Sen. Jeff Merkley (D) teamed up with Kentucky Republican Sens. Rand Paul and Mitch McConnell to sponsor the bill and guide it through Congress. McConnell’s role as Senate Majority Leader certainly didn’t hurt the bill’s prospects. The bill defines hemp as cannabis with 0.3 percent THC or less by dry weight and removes it from the Controlled Substances Act (CSA). Regulatory authority over hemp moves from the DEA to the Agriculture Department. The definition of hemp in the bill includes all parts of the plant and specifically lists cannabinoids, including CBD, that are removed from control of the CSA. The bill also includes funding and authorization for research and authorizes crop insurance for hemp farmers. The inclusion of CBD has the potential of greatly expanding the size of the legal hemp industry. Hemp-based CBD wellness products — a category that didn’t exist five years ago — already account for nearly a quarter of the domestic hemp market, and the Hemp Business Journal predicts they will account for nearly $650 million worth of sales by 2022, becoming the single largest sector of the hemp market. It’s been more than 40 years since Jack Herer ignited the marijuana movement’s interest in hemp with The Emperor Wears No Clothes: Hemp and the Marijuana Conspiracy. Herer is long gone — he died at age 70 in 2010 — but the movement he launched has now reached the promised land. The single most ridiculously unjustifiable aspect of federal marijuana prohibition has been killed; now it’s time to finish the job by ending federal marijuana prohibition. This article is licensed under a Creative Commons Attribution license from StopTheDrugWar.organd was first published here. One of the most commonly proposed uses of medical marijuana is to treat glaucoma. But a study from researchers at Indiana University has found that a major chemical component in the substance appears to worsen the primary underpinning of the disease: a rise in pressure inside the eye. The chemical that causes this rise in pressure is cannabidiol, or CBD, a non-psychoactive ingredient in cannabis that is increasingly marketed to consumers in products such as oil, gummies, creams and health food. It is also approved in many states as a treatment for conditions such as pediatric epilepsy. The study was reported Dec. 14 in the journal Investigative Ophthalmology & Visual Science. The study, which was conducted in mice, specifically found that CBD caused an increase in pressure inside the eye of 18 percent for at least four hours after use. Tetrahydrocannabinol, or THC, the primary psychoactive ingredient of marijuana, was found to effectively lower pressure in the eye, as has been previously reported. But the study found that the use of CBD in combination with THC blocked this effect. Specifically, the study found that male mice experienced a drop in eye pressure of nearly 30 percent eight hours after exposure to THC alone. A lower pressure drop of 22 percent was also observed after four hours in male mice. The effect was weaker in female mice. This group experienced a pressure drop of only 17 percent after four hours. No difference in eye pressure was measured after eight hours. The results suggest that females may be less affected by THC, though it isn’t clear whether this extends to the substance’s psychoactive effects. By comparing the effect of these substances on mice without specific neuroreceptors affected by THC and CBD, the IU researchers were also able to identify the two specific neuroreceptors — named CB1 and GPR18 — by which the first substance lowered pressure inside the eye. Materials provided by Indiana University. Note: Content may be edited for style and length. New Zealand will hold a referendum on whether to legalise cannabis for recreational use at the general election in 2020, a week after legalising the use of cannabis for medicinal purposes. The governing Labour party promised the Green party they would hold a national referendum on legalising the drug, as part of the confidence and supply agreement between the two. Cannabis is widely consumed in New Zealand with police largely turning a blind eye to small-scale, personal use. The justice minister, Andrew Little, said the government had already forewarned the electoral mission to schedule the referendum at the same time as the general election, usually held around September. The National Party leader, Simon Bridges, called the scheduling decision “cynical” and said he did not support the legalisation of cannabis, because of its impact on mental health and the message of “normalisation” it sent regarding recreational drug-use. The Greens MP Chlöe Swarbrick, a long-time campaigner for the legalisation of all drugs, welcomed the government’s announcement and said it showed commitment to treating drug use and addiction as health issue rather than criminal ones. The cannabis referendum coalition of New Zealand said scheduling the vote to coincide with the general election would “maximise turnout” and encourage thorough debate. Voting is not compulsory in New Zealand but a fine is issued to those who are eligible and do not enrol to vote. At the 2017 voter turn-out was 79% , the highest since 2005. “We know from polls over a number of years that a majority of New Zealanders support cannabis law reform,” said #makeitlegal campaign manager Sandra Murray. Last week’s law change paved the way for New Zealand companies to manufacture medicinal cannabis products for both the local and international market, an industry which has been touted as a potential game-changer for deprived Māori communities on the east coast of the North Island, who hope to turn the thriving illegal industry into a thriving legal one. • This article was amended on 19 December 2018. An earlier version said in New Zealand, a fine is issued to those who are “eligible and do not vote”. This has been corrected to say who are eligible and do not enrole to vote. Girl Scout Cookies, Superman OG, Silver Haze, and Critical Kush are just some of more than a dozen medical cannabis strains Michigan regulators recalled from two dispensaries on Friday. Friday’s recalls are mandatory and require that dispensaries notify affected customers who may have purchased the contaminated strains. 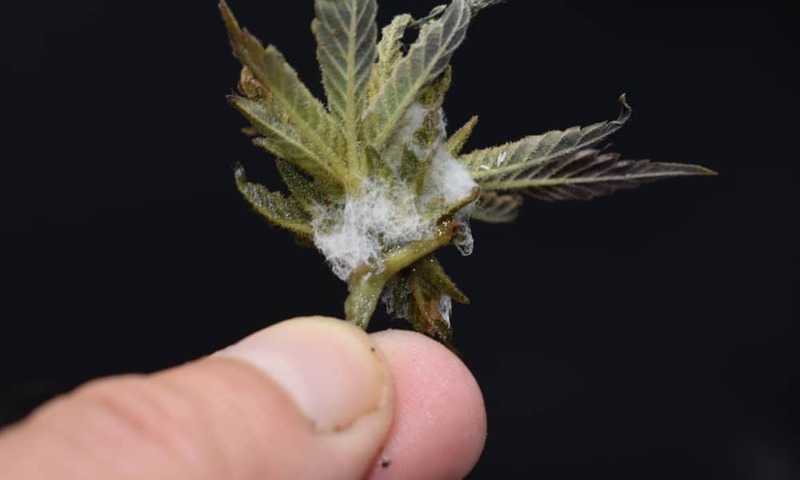 Lab test failures for mold, yeast, and other contaminants prompted the recalls, drawing attention to Michigan’s urgent need for more medical cannabis testing facilities and licensed cultivators. Since 2016, Michigan’s marijuana laws have been undergoing some massive revision. The state legalized medical cannabis in 2008, but opted not to set up much in the way of regulatory or licensing frameworks. Patients and caregivers had to enroll in the program and get certifications. But with no licensed producers, cultivation, and production fell to patients and caregivers themselves. That changed in 2016 when a coalition of conservative state lawmakers began passing legislation aimed at taxing, regulating and licensing the state’s medical cannabis program. But by then, an entire informal industry of unlicensed growers and distributors had emerged, along with dozens of unlicensed dispensaries. Realizing Michigan’s medical cannabis infrastructure could simply turn on a time and adopt new regulations, officials implemented a set of “emergency rules” for cannabis businesses. Among other things, the emergency rules gave businesses temporary approval to continue operating while they put their licensing applications together. Licensing, as many in the industry have experienced, is a lengthy bureaucratic process that routinely encounters delays. And while Michigan’s Department of Licensing and Regulatory Affairs (LARA) worked on licensing processors, producers, distributors and “provisioning centers,” it gave the green light for dispensaries to stock medical cannabis grown by caregivers. In fact, LARA more or less had to, due to a shortage of medical cannabis at licensed provisioning centers (i.e., dispensaries). But that led to another issue: testing caregiver-grown cannabis. The problem, however, was that Michigan regulators had only licensed a few medical cannabis testing labs–and only as recently as August 2018. So LARA permitted provisioning centers to sell untested medical cannabis products through 2018. Patients had to sign a disclosure form acknowledging they understood this, but when 2019 rolled around, provisioning centers could no longer sell untested products. And now that caregiver-grown cannabis must undergo lab testing, the risks inherent to unregulated cultivation are coming to light. All of the 15 strains of medical cannabis flower LARA recalled Friday came from caregiver-growers. Dispensaries sold those strains before getting them tested, roughly between Dec. 18 and Jan. 3. When the new requirements for testing kicked in Jan. 1, however, dispensaries sent samples for analysis. When those tests revealed mold, yeast, chemicals, and other contaminants, LARA issued its mandatory recall. So far, the recall affects just two provisioning centers: the Green Mile in Detroit and Compassionate Care By Design in Kalamazoo. At the Green Mile, LARA recalled Gelato and Girl Scout Cookies for lab test failures due to total yeast and mold count. A third strain, Superman OG, failed for chemical residue, while a fourth, Mimosa, failed for bile-intolerant gram-negative bacteria and total coliforms—as in, E. coli. At Compassionate Care by Design, LARA recalled 11 strains, including popular Kush and Skunk strains, for chemical residue contamination. Chemical contamination often indicates the presence of pesticides, fertilizer or other grow-chemicals sprayed on plants. LARA posted a press release online Friday morning listing the lot and production batch numbers of the affected strains. How Dangerous is Contaminated Cannabis? Contaminated cannabis poses serious risks to all cannabis consumers, but perhaps medical patients especially. Take mold, for example. Exposure to mold can lead to respiratory problems, headaches, vomiting, diarrhea, heart problems, and lung infections. Those risks can be even higher for people with asthma or lowered immune systems. Yeast and other bacteria, including coliform bacteria, pose similarly heightened health and safety risks. Chemical contamination (from pesticides, for instance) is another danger—and an alarmingly common one. In October 2016, for example, one testing lab in California found that 84 percent of its samples contained pesticide residue. Fruits and veggies from the store have pesticide residues on them, too, but you can wash that residue off with water. With cannabis, there’s no way to rinse harmful chemicals off your flower. And burning common pesticide residues transforms them into highly poisonous chemicals, like hydrogen cyanide. Without proper testing facilities and effective regulatory limits on contaminants, cannabis consumers face unknown and potentially harmful risks. Now that Michigan has both an expanding medical industry and new adult-use industry to get off the ground, state regulators would be wise to prioritize licensing more labs. The administration of cannabidiol (CBD) is associated with reduced cravings for methamphetamine in rats, according to preclinical data published in the Journal of Psychopharmacology. Australian researchers assessed the impact of CBD on methamphetamine-seeking behavior in a rat model. They reported that CBD dosing reduced the animals’ motivation to self-administer methamphetamine and reduced the likelihood of relapse following drug abstinence. Prior studies have similarly reported that CBD is associated with reduced cravings for tobacco, heroin, cocaine, and opioids. Elon Musk got himself into a bit of trouble after smoking marijuana during an appearance on Joe Rogan’s podcast in September 2018. But now, in a new interview 60 Minutes, the Tesla founder indicated the on-camera puffing was a fluke and that he actually doesn’t even know how to smoke weed. “I do not smoke pot,” he said. Musk seems to be telling the truth, at least judging from the widespread reaction to the fact that he didn’t seem to actually inhale the blunt that Rogan passed him. The “60 Minutes” interview with Musk aired Dec. 9, 2018. Featured Image: Elon Musk, founder of SpaceX and now Tesla Motors, November 7, 2008. Photo by JD Lasica via Flickr Creative Commons 2.0. 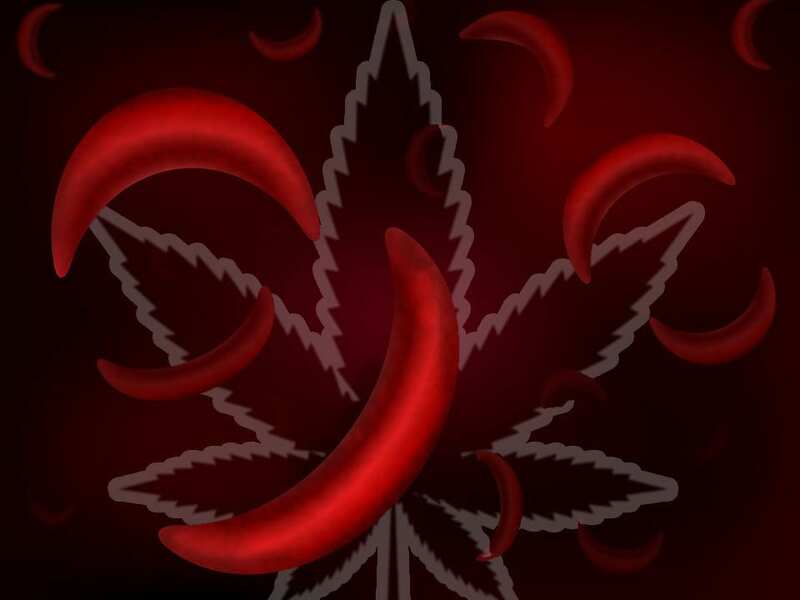 NEW HAVEN, CT — Sickle cell disease (SCD) patients who utilize medicinal cannabis require fewer hospitalizations as compared to SCD patients who refrain from the substance, according to clinical data published in the journal Blood. Investigators from Yale University in Connecticut and from the Sackler School of Medicine in Israel compared rates of hospital admissions over a six-month period in a cohort of SCD patients. Authors reported no differences in patients’ hospital admission rates prior to their use of medical cannabis, but reported a decrease in admissions among those who elected to use medical cannabis over the following months as compared to controls. “We suggest that MM (medical marijuana) allowed patients to improve their pain relief and thereby reduce admission rates,” authors concluded. While the use of medical cannabis is relatively common among patients with SCD, it has yet to be clinically evaluated for efficacy in those with the disease. Full text of the study, “Medical marijuana for sickle cell disease: Results of two years of certification in an adult sickle cell center,” appears in Blood. Copyright (c) 2019. Diego Pellicer Worldwide, Inc. All Rights Reserved.